Liverpool have had a candle burning for Inter Milan schemer Mateo Kovacic for several months now, but a second member of the Nerazzurri midfield has emerged towards the top of their wish list, or say the Daily Telegraph. It’s reported that Brazilian box-to-box ace Hernanes may be available following the San Siro arrival of Geoffrey Kondogbia from Monaco, but favouring him over the Croatian youngster they were initially keen on would be madness. Early indications surrounding the Hernanes link stem from the belief that Brendan Rodgers has abandoned his interest in Kovacic after Inter refused to lower their £25m asking price, yet of the two, the latter would be of much greater use to Liverpool. The Reds are currently 2/1 to finish in the top four next season, with a raft of impressive-looking acquisitions, including Roberto Firmino and James Milner, underlining their ambition for the coming campaign. One key area they haven’t strengthened in, and will have to if they are to achieve their main aim, is the holding-midfield department. Spending big on Hernanes would take a sizeable wad out of the already-depleted transfer coffers and he wouldn’t successfully plug the void in question. He was afforded just 17 starts in a humdrum Inter side last term, yet still mustered five goals and assisted four more. This is not the return of a man who’ll safely guard a defence from attacking onslaughts. In terms of tackles and interceptions, he averaged one and 1.2 per game respectively, while his pass completion figures (83.5%) ranks him below the numbers recorded by Steven Gerrard, Lucas Leiva and Joe Allen, the three men typically tasked with anchoring the Reds middle band last time around. Hernanes initial inclinations are to attack; to scythe open a backline or to get in the box and score, a bit like Kovacic. 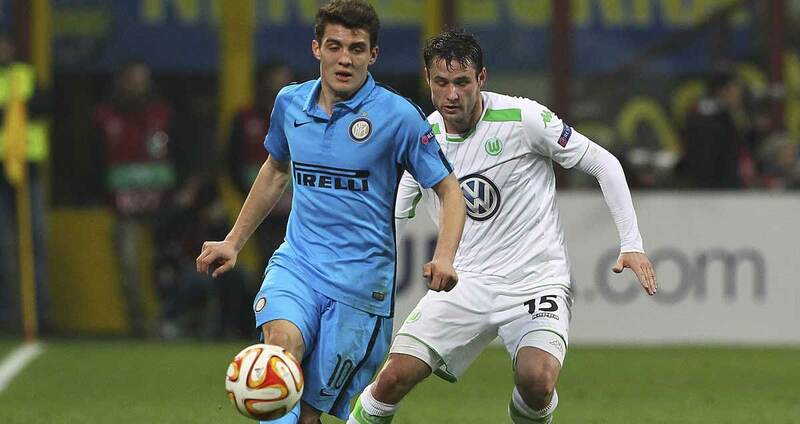 The Croat appeared in all bar three of Inter’s league matches last term, scoring five and setting up three. He averaged over 23 passes more per match than Hernanes and found his man with a much-improved accuracy of 87.5%. With 2.6 dribbles per outing compared to 1.6, he’s a more confident carrier of the ball than his Brazilian colleague too, meaning he’s a better fit for the Liverpool system and more in tune with the current crop of attacking-midfielders already on the books. Kovacic’s price might be too steep for Liverpool, but targeting Hernanes as an alternative will prove a costly mistake the Reds can’t afford to make.